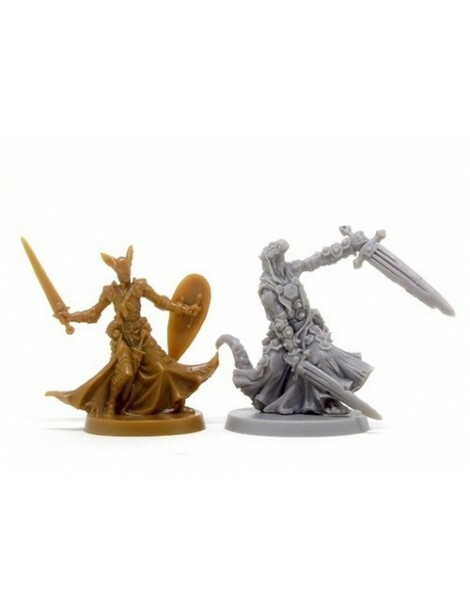 Comprando este producto consigues 0,27 € con nuestro programa de fidelización. 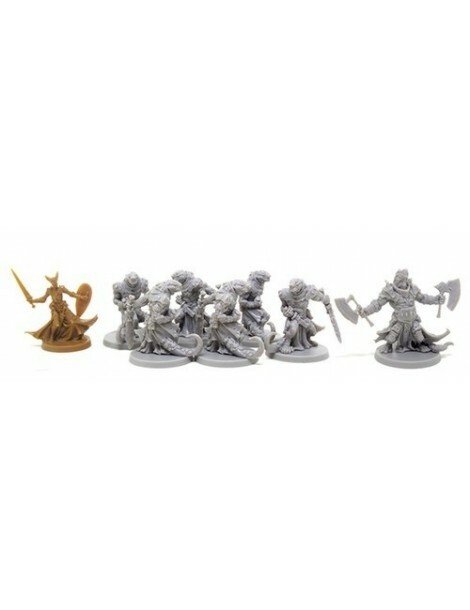 Tu carrito acumularía 0,27 € que podrás convertir en un vale de descuento. As the terror of the Darkness spread across the land, it inspired terror in some, and delight in other. The Reptisaurians crawled out of their coastal swamps and proceeded to induce fear and chaos everywhere they went. 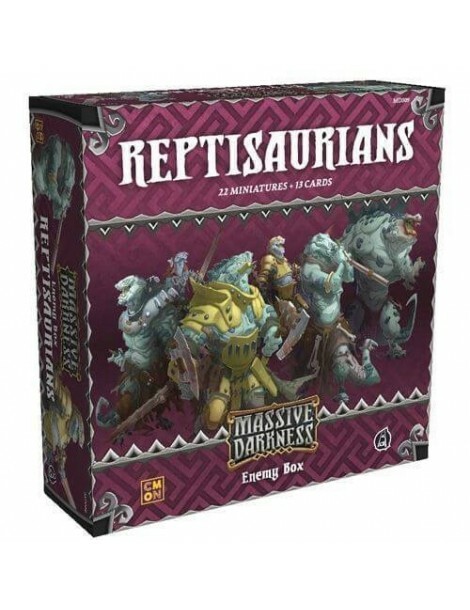 The Massive Darkness: Enemy Box: The Reptisaurians contains 22 miniature figures in six different cold-blooded sculpts. 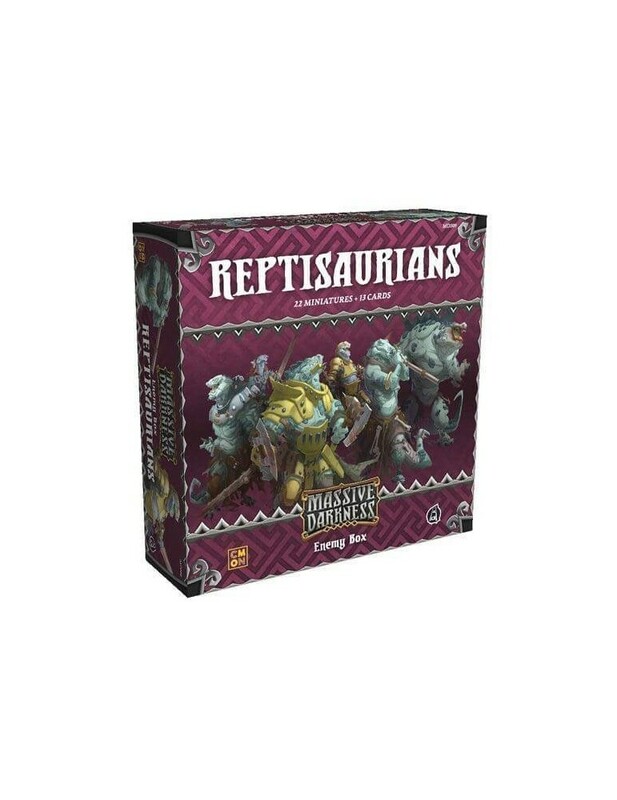 Two different bosses lead the Reptisaurians, but the Heroes are really going to have to look out for the Repitsaurus Rex, a massive scaled giant of muscle, claws, and fury. 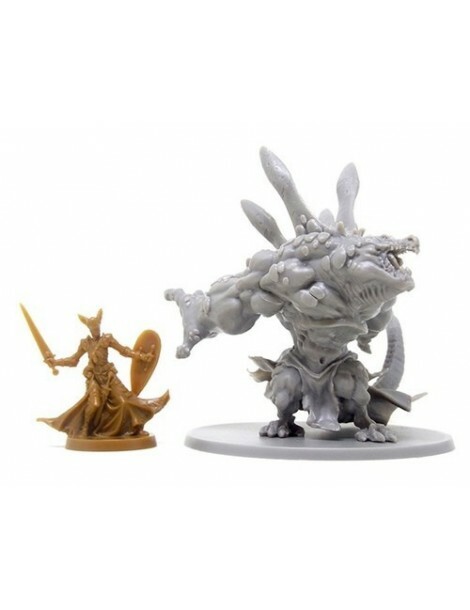 This Enemy Box can be added to any Massive Darkness adventure.